With the recent announcement coming out of E3 that we are getting a new Killer Instinct title, we thought now would be as good a time as any to brush up on our combo breakers. Fatalities and over the top cartoon gore may provide some naysayers with the perfect litmus test for how video game violence is putting holes in the ozone, or whatever else the outrage of the week is, but we all know that it's camp. Pure and simple. 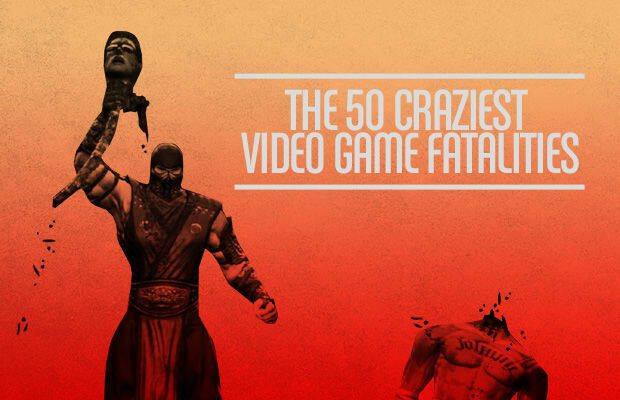 While those suffering from manufactured, imaginary affronts, are fanning themselves on their fainting couches, we will be enjoying the The 50 Craziest Video Game Fatalities Ever.